Have you every wondered what sort of mining power can you get, what’s the GTX 1050 Hashrate? As the prices of all the best mining GPUs increase, and available inventory is nowhere to be found, people start looking farther and farther to the extremes to buy mining GPUs for their rig builds. 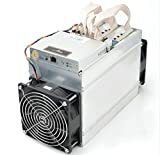 Since there isn’t anything more expensive than the GTX 1080 Ti (except perhaps the Tesla series, but that is thousands more and really only mines about 10-20% faster) so people are looking at the lower end, and older generation for possibility in using them as mining GPUs. Case in point: the NVidia GTX 1050. As of the writing of this, the GTX 1050 is available for around $130-$190 USD, depending on the brand and the overclock – and that’s higher than the 1050 Ti MSRP and closer to the MSRP of the GTX 1060 3GB! The GTX 1050 was originally released in October of 2016 as an entry-level gaming GPU to replace the last-series GTX 750 Ti. With the Pascal architecure and 7 Gbps memory speed, it’s rated at using 75 watts of power. The GTX 1050 has 640 Cuda cores, so for a mining GPU, it should mine about half the speed of the GTX 1060 6GB cards that have 1280 Cuda cores. When mining equihash, the GTX 1050 hashrate is around 130-140 sol/s on stock settings. If you overclock it, you will likely be able to get 150-160 Sol/s. Power draw will be less than 50 watts after you’ve adjusted TDP. On the monero cryptonight algorithm, the GTX 1050 Hashrate is around 336 H/s and uses about 75 watts. Compared to a 1060 6Gb, they can achieve about 300-325 Sol/s and they use around 85-95 watts, so correctly, the GTX 1050 is about half. If you can get a GTX 1050 for less than half of the cost of the 1060 6GB, then it makes it a decent purchase. 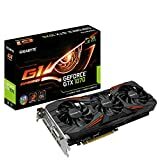 Right now, the GTX 1060 6GB are around $400-$500 so that makes less than $200 for a GTX 1050 a great deal… if you need to get into the GPU mining market right now. Another option is to wait out the rush and see if prices back off again. Remember that if you buy a lower hashing card like the GTX 1050 vs the 1060, then you need more PCIe slots in order to achieve the same overall hashrate. Keep in mind, if you’re planning to mine Ethereum with the GTX 1050, you can’t! The Ethereum DAG file size is almost 3GB, and doesn’t work with the 2GB of memory on the 1050 card. However, there are other ethash coins that you can mine like Ethereum Classic. Plus, there are other algorithms like equihash (ZenCash, ZCash, Bitcoin Gold etc), and others that don’t have DAG files to worry about. Why do mining GPUs have different hashrates even though they are the exact same model? Depending on your model, there are different ‘overclockers’ available. For example, MSI has something called Afterburner, and EVGA has their own software too. However, any of them will work on any card – I am using the EVGA software on my ZOtac 1070ti Mini.